As a scenic destination, only a few places in the world can be compared to the beauty of Hawaii's coastline and beaches. But aside from that, where else can you find a golf course with a jungle and lava all around? This is one of the unique features of some of the golf courses found in the Big Island. You get to play with lava on the course, while some courses offer a great view of the ocean. This is not something that you'll find in your local golf course. The golf courses in Hawaii are certainly top-class. A golf course designed by golf champion Arnold Palmer was for the Palmer course, and top golf course architects Robert Trent Jones Jr. designed for the The Prince course, and Jones Sr. designed for the Mauna Kea Golf course. You also have big names such as Bill Coore and Ben Cranshaw for the Plantation Course in Kapalua Resort. The PGA holds several tournaments in Hawaii, most popular of these is the Mercedes-Benz Championships, the first official tournament of the PGA season, which is held at the Kapalua Resort. As an official tournament, you can find big names in golf, such as Tiger Woods, Ernie Els, and Sergio Garcia playing on the greens of Hawaii. That can be a motivation for you to time your visit in Hawaii alongside the tournament to watch these golf greats play in person. place for you to fall in love with the game of golf. As you already know, there's more to Hawaii than golf, and the golf courses are also placed strategically near resorts and other places with fun activities that the state offers. Unless you plan a purely golfing vacation, you can just include golf as part of your itinerary and then you can easily move on to other tourist spots and activities within the vicinity. Whether it's seeing the Kileaua Volcano on the Big Island or taking a helicopter tour of the Kauai rainforests, there should be a golf course nearby for easy access. Now that you know the reasons why golf is such a big hit in Hawaii, here are some of the best golf courses that Hawaii has to offer. Most of these golf courses have won awards and are recognized not only nationally, but also worldwide as some of the best golf courses there are. If it's golf in Hawaii, one of the names that always come up is the Mauna Kea Golf Course. Designed by Robert Trent Jones Sr., it still is one of the standards in golf course design for Hawaii. Combining the great scenery of the coasts and lava, challenging design, and signature holes, the Mauna Kea is one of the must-play golf spots in Hawaii, if not the whole country and in the world. Built in the 1960s, it has been widely regarded as one of the best golf courses in the world, with several awards from Golf Digest and Golf Magazine for being one of the top 100 golf courses spanning several years. Its trademark hole is the third hole, where one can see water crash through the rocky shoreline. The Hapuna Golf Course is another excellent golf course in Hawaii. Designed by Arnold Palmer and Ed Seay, Hapuna makes good use of the landscape contours, while also taking advantage of the scenic views of the Kohala Coast and the Mauna Kea slopes. Because of its modern design and the environmental considerations in its design, it was called the "Course of the Future" by the USGA. Among the awards that it garnered are being one of the Best Golf Resorts in North America from Golf Digest in 2006, and a Silver Medalist Award from Golf Magazine in 2002. Hapuna has a tournament course and slope rating of 73.3 and 136. It's also a good place for practice as it has training grounds and forward courses with course and slope ratings of 64.4 to 68.9 and 117. The Turtle Bay Resort is one of the more known golf courses because it's the site of LPGA SBS Open at Turtle Bay and the Champions Tour Turtle Bay until 2008. Turtle Bay offers two golf courses, the Palmer Course by Arnold Palmer and Ed Seay, and the Fazio Course by George Fazio. When it comes to a good challenge, go to the Palmer Course, with Scottish links on the first nine, and woods and marshland preserve for the back nine. For a more relaxing game, you can head on to the Fazio Course. The Palmer Course was one of Golf Digest's Top Rated Golf Courses for Hawaii for 2005 to 2006. One of the best golf courses in Hawaii can be found in the Princeville Golf Club. Also known as The Prince Golf Course, it is highly regarded by golfers all around the world, and it was named by Golf Digest as one of the top golf courses in Hawaii. Other accolades include Top 100 Greatest Courses, also by Golf Digest, one of America's Best Resort Golf Courses, America's Top 100 Modern Courses, and Hawaii's Best 15 Public Access Courses by Golf Week. The course was designed by Robert Trent Jones Jr., and it provides slopes and downhill challenges that will surely test your golfing skills. It also has a great view and scenery, since the course is situated 300 feet over the Pacific. It is one of the toughest courses out there, but still, as mentioned, it has five tee positions to choose from for varying skill levels, so one should not be intimidated with The Prince. It can make a good training ground to improve one's game. Another name that comes up is the Kapalua Golf Club and its Plantation Course. It's noted as a challenging course, and also famous for hosting the Mercedes-Benz Championship. This spectacular golf course is the creation of Ben Crenshaw and Bill Coore. The course is one of the longest in Hawaii, with 7,411 yards, and one of the widest with fairways as big as 80 yards. It's reputation as one of the best golf courses in Hawaii is backed-up by its several awards, among them being named as one of the Top Rated Golf Courses for Hawaii and America's 100 Greatest Public Access Golf Courses by Golf Digest; also making the list of America's Best Top 100 Modern Courses, and America's Best Public Access Courses for Hawaii by Golfweek Magazine. The Plantation Course also received awards from Golf Magazine and Golf for Women Magazine for similar categories. The Hualalai Golf Course was designed by renowned golfer Jack Nicklaus and plays host to the PGA Champions Tour Mitsubishi Electric Championship at Hualalai event. The course makes use of the island’s natural beauty to guide the golfer through a scenic hawaiian golf experience. Hualalai is actually two separate 18 hole golf courses, the Jack Nicklaus Signature Course which is available to resort guests and the Weiskopf course reserved for Hualalai Golf Club members. This course is Jack Nicklaus’s first Hawaiian golf course design, and consists of a par 72 layout that is sure to entertain visitors and veterans alike. Both Golf Magazine and Golf Digest have rated Wailea Golf Resort on Maui as one of the best golf courses in the country. Quality courses, luxurious accommodations, and the scenic backdrop of Maui’s stunning coastline, all infused with the spirit of aloha. Play in one of three distinct courses, Emerald, Blue and Gold, each carrying its own unique design and playstyle. Designed by famed golf superstar Jack Nicklaus, “The Golden Bear,” the Manele Golf Course on Lanai is one of the most scenic golf courses on the island. Carved out of a series of lava flats and residing over the crashing waves of Hulopoe Bay, The Manele Golf Course (formerly known as The Challenge at Manele) is a full 18-hole golf course located at the Four Seasons Resort Lanai. The Kauai Lagoons Golf Club was designed by renowned golfer and golf course architect Jack Nicklaus, and first opened in 1988. Originally the host of two 18 hole championship golf courses, the Kiele and Mokihana, the club underwent renovations and recently reopened in 2011. The Kauai Kauai Lagoons Golf Club now boasts two nines, the inland Kiele Mauka (mountain) nine and the coastal Kiele Moana (ocean) nine. Together they create a 72 par 18 hole course that offers 7,156 yards of golfable terrain. The Mokihana course has been closed, with part of it being added to the new Kiele course, and the rest converted into luxury condos. And the list goes on and on. There are more golf courses to choose from in Hawaii. 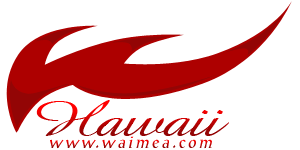 Some of them are the Kauai Lagoons Golf Club, Hualalai Golf Club, Makena Golf Courses, and many, many, more. A lot of these golf courses also offer other amenities and facilities such as club houses and restaurants that offer a delicious taste of Hawaiian cuisine. You can look up the ratings in sources such as the USGA or golf publications such as Golf Digest for reviews and information about the golf courses in Hawaii. But what is assured is that when it comes to golf, Hawaii has one of the best selections in the country, and perhaps the world. If you are planning to have a tropical vacation, visit any of these golf courses to experience the best of the Hawaiian archipelago while practicing your swing.